Available Saturday and Sunday from 9am to 2pm, The Matador brings weekend brunch to Downtown Fullerton. Prepared by Executive Chef David Dennis, the menu offers a fusion of traditional and contemporary Mexican-inspired cuisine. All dishes are made to order using only the freshest, high quality ingredients available. 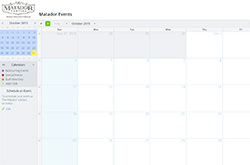 See our upcoming events in a calendar view.